Dealer level scanner in compact housing with color screen ECU's of MM and Fiat group - Fiat, Fiat Professional, Abarth, Alfa-Romeo, Lancia etc.) or Jeep/Dodge/Chrysler. Based on MM Smart , with the same characteristics. Supports all dealer functions with dealer software - diagnostic, programming, coding and etc. Package contains unit, OBD cable, CD. 007935800015. Original, only for dealerships and maintaning stations, aviable for order. Made in Italy. PASS THRU (J2534 & ISO22900) dealership level diagnostic and Euro 5/6 standart reprogramming tool for mayority of electronic control units in the cars (user officially subscribe on cars manufacturer´s web page). Compatible with software Toyota TECHSTREAM. Original, official, made Sweden. 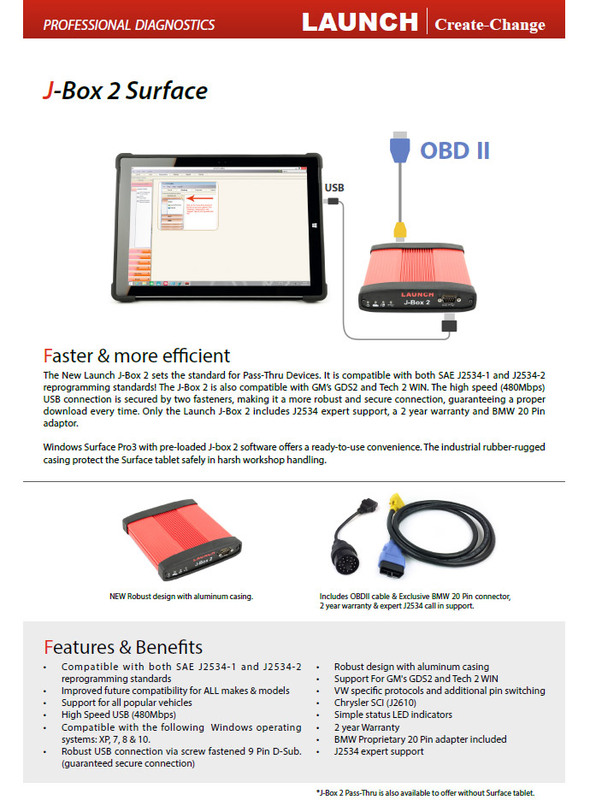 Equipo PASS THRU (SAE J2534-1 and J2534-2) dealership level diagnostic and Euro 5/6 standart reprogramming tool for mayority of electronic control units in the cars (user officially subscribe on cars manufacturer´s web page). Support of specific protocols VW (with pin switching in the DLC) and Chrysler SCI (J2610). Compatible with software GM GDS2 and Tech2WIN, that allows use it in GM dealerships. Original, official.